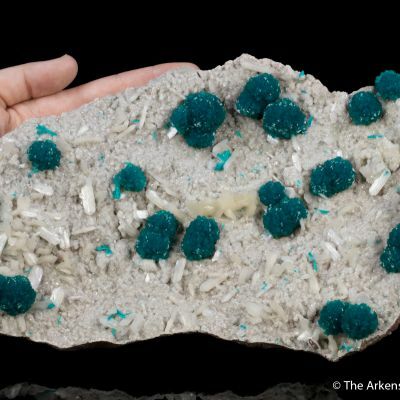 A matrix of basalt has been covered by extremely, lustrous and gemmy, ivory colored stilbite crystals, to .4 cm across. 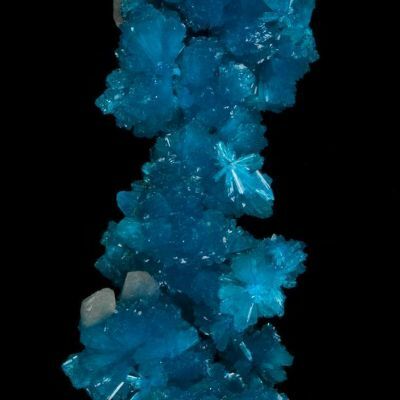 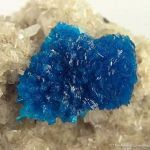 Perched, aesthetically, on the stilbite is a rosette of deep, royal blue, translucent, lustrous, cavansite, measuring 2.5 cm across. 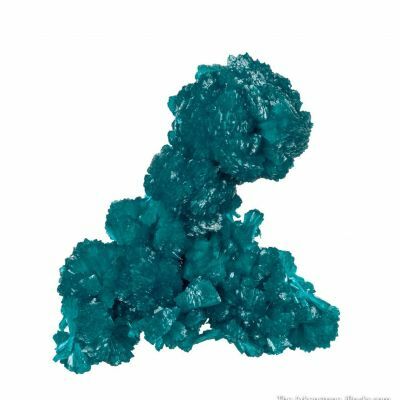 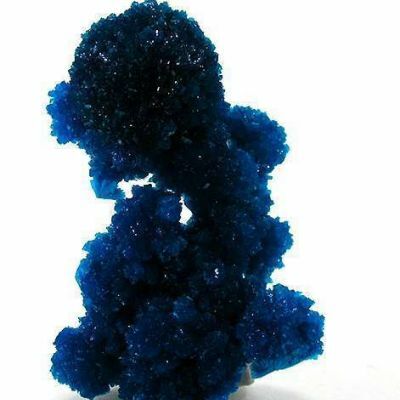 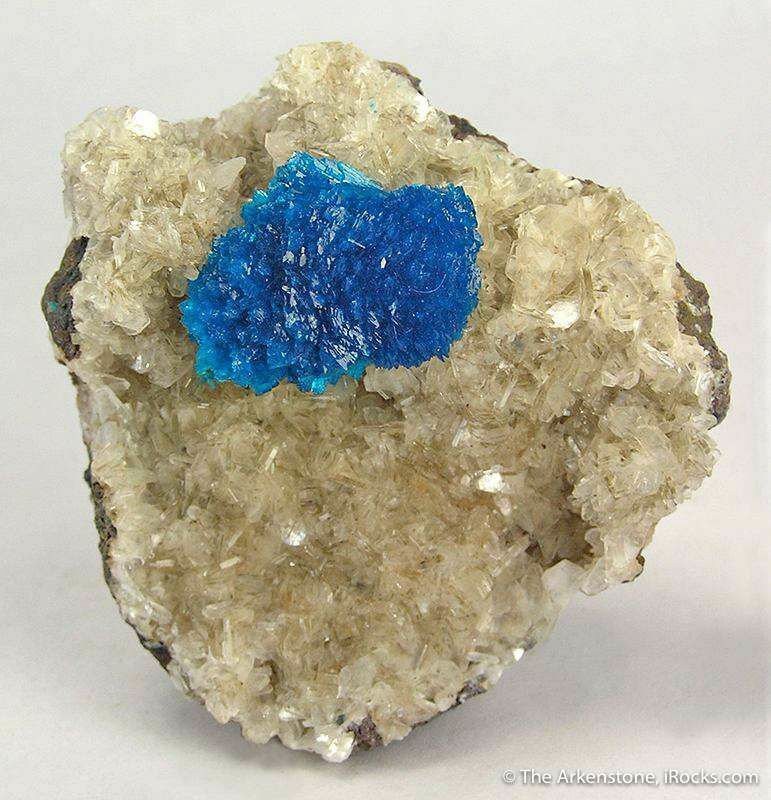 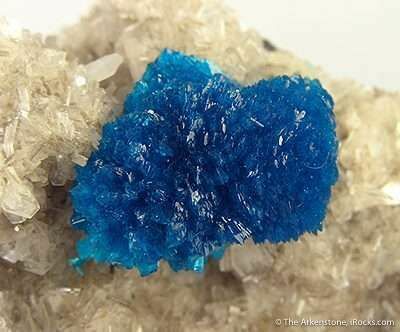 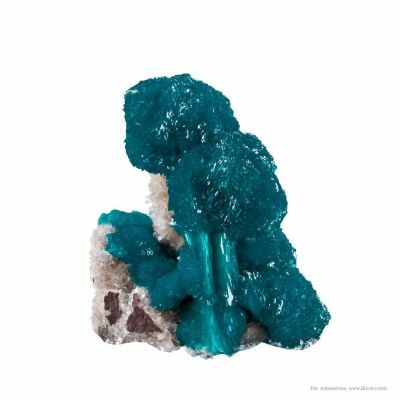 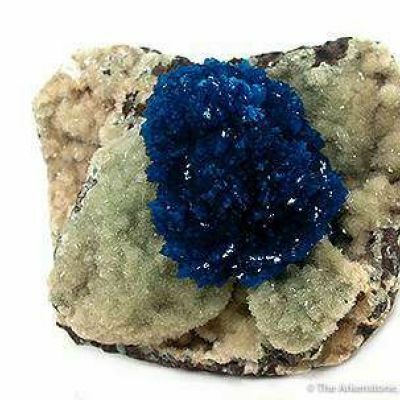 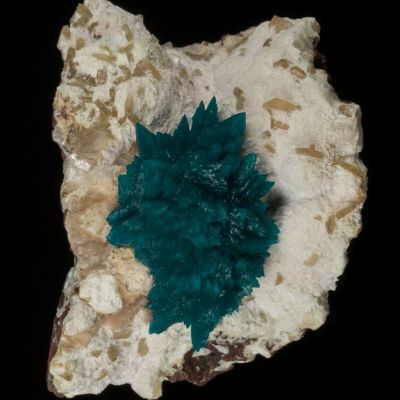 The combination of the large, top colored, cavansite and glassy stilbite is an example of the very best these species offer.